My biological father, Antonio, was born in Mexico and is of Indigenous Mesoamerican and Spanish descent. Mary, my biological mother, comes from Irish immigrants, who were among the early European settlers of Colorado. I never knew their stories as a child because I was adopted, by parents whose own ancestors emigrated from Europe. But, like America itself, I represent all these people, and despite what some of my fellow citizens — including the president — may believe, every part of me is American. 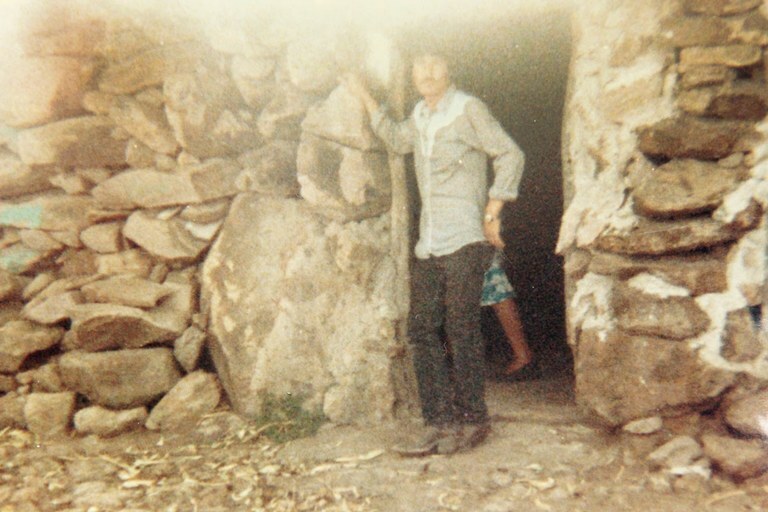 When he was 16 years old, Antonio left the stone house in Guanajuato, Mexico, where he was raised, and traveled north by foot, on trains and in vehicles. He caught trout by hand in mountain streams and ate wild plants and eventually ended up in southeastern Wyoming, where he found work on a dairy farm. There, he fell in love with Mary, the farm owner’s daughter, and sometime later, in the fading light of a prairie autumn, I was conceived. Mary read to me before I was born, books by Ernest Hemingway and James Michener, and walked the bluffs to watch over her family farm. But she and Antonio parted ways, and immigration agents soon came for him. He was undocumented, so they locked him up in Denver and deported him by bus to Mexico. Mary didn’t feel she could give her child the life he deserved, so she arranged for an adoption. 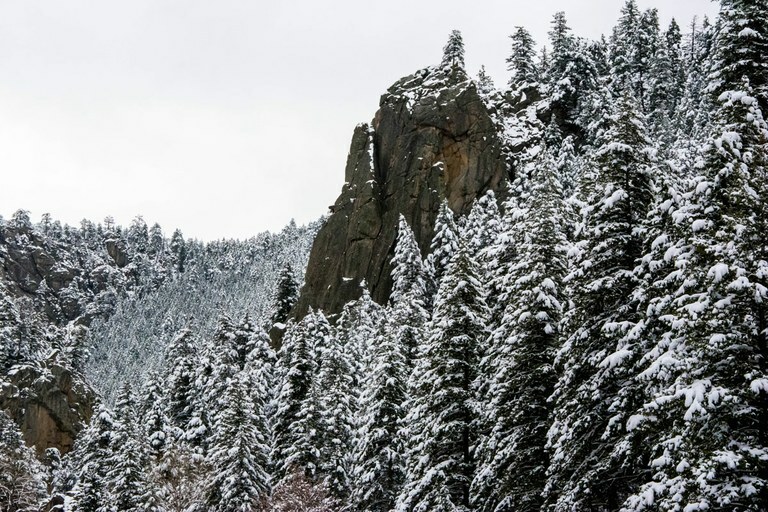 The author spent much time near Roosevelt National Forest, Colorado, where his adoptive family built a cabin. Hours after I was born, a middle-aged couple from Fort Collins adopted me. They loved me unconditionally, and I was raised along the Front Range of the Rocky Mountains. But I didn’t look exactly like most of the kids around me, so I existed in a kind of racialized borderland. I felt most at home in the mountains, in the wild, free and healing world of the nearby Roosevelt National Forest. My adoptive parents often took me to a cabin they’d built on 40 acres there before I was born. If I lacked kinship at school, I had it here, where the sun fell through the aspen, and deer and elk drank from a clear stream, where the conversations of chickadees merged with the cry of a red-tailed hawk, and where coyotes yipped at dusk, coursing the ridge east of the cabin. Here, I wasn’t alienated; I was simply human, one being in an equitable community. In my early 30s, I lived on Washington’s Olympic Peninsula, and there met a woman from Mexico who made old-style tacos with wild chanterelle mushrooms. The tacos were delicious, and on one of my many trips to see her, I told the woman of my biological father and his unknown story. She said I had to meet him. Her insistence catalyzed a deep desire within me I hadn’t been fully aware of. So I sought him out. I called my biological mother, whom I’d met when I was 18, and I asked her to connect me with him. A few months later, on a visit to Colorado, I drove north to meet Antonio for the first time. We met at a truck stop between Cheyenne, Wyoming, where he was living, and Fort Collins, Colorado, where I was visiting my parents, on an overcast day in November. We hugged, got into his pickup, drove around the prairie outside Cheyenne, and talked. It’s difficult, and maybe impossible, to fully communicate the feeling of seeing, for the first time, the eyes of someone whose eyes are the source of your eyes, whose smile wrinkles radiate outward, exactly like yours do. You can’t explain the feeling of someone’s heartbeat echoing yours in a hug, the same heartbeat that raced long before you were born so that one day you could strike earth like lightning and be. It was like being fully present when beholding the sunrise, as if I were awakening to a force of life unknown to me before that moment — as if one cycle had ended, just as a new and similar one was beginning. Somehow, I was renewed. In the flowing instant of meeting Antonio, I was deeply submerged in a feeling of joy. At the same time, I felt the intensity of hopeful and ineffable love for my family increase, a feeling rooted in the childhood my adoptive parents gave me. After he was deported, he soon re-crossed the border with a coyote and returned to Wyoming, which he by then considered his home. It had been a year since I’d been born. Antonio traveled to Fort Collins to hire a lawyer to try to claim me, but the lawyer warned him that it was impossible, because he was illegally in the U.S. Even if he received the legal right to stay, by then the adoption would be finalized, the file sealed, and he would have lost his chance of claiming his son. “They deported you once,” the lawyer told him. “They’ll do it again.” So Antonio gave up. He said he’d been waiting since then to meet me and was happy — as was his family — to reconnect. And despite everything, he was happy for the life I’d been given. Antonio, Moore's biological father, as a young man at his family home in Guanajuato, Mexico. Antonio’s mother was visiting from the family land in Guanajuato. Even in her late 80s, Juana still took the bus a couple of times each year to visit Wyoming with one of her children as a chaperone. (The stone house my biological father was born in still stands, but now she lived in a newer one her children built for her.) So Antonio and I drove to his little house outside of Cheyenne, and for the first time, I met my abuelita. Outside, a cold winter wind blew across fields of corn stubble, through leafless trees. Inside, the house was bright, and Juana sat on the couch, short and slight and highly attuned to everything. She was kind, but reserved in her gestures. We spoke as Antonio translated. I told her my name and said, very briefly, that I’d had everything I needed in life. I asked her about her ancestors, and she replied that her grandmother was from España, while others were Indigenous and from Michoacán, Mexico. Her husband, my biological grandfather Trinidad, was from Jalisco, Mexico. Their family was happy; they didn’t have much but always had enough to eat. They never went to the doctor, using wild local herbs and plants to heal wounds instead. She mentioned a few, tracing their shapes in the air: yerba buena, yerba santa. Then she paused. “She never thought she was going to see you,” Antonio said. The light glinted off her glasses and illuminated tears as they formed in her eyes. “Contento mi corazón,” she said then, softly. My heart is happy. She said she could move on now, as we had finally met, after she had known of me, but never known me, for over 30 years. Antonio and I left the house late and drove back to the truck stop, beneath a dark night sky. As Antonio dropped me off, we vowed to stay in touch, and went our separate ways. Last summer, my wife and I went back to see Juana. We all sat together as a cool breeze danced across the curtains, and my biological grandmother handed me a gift. Inside, for a child yet to be born or conceived, was a baby blanket knitted of soft, yellow yarn, with a tiny bonnet attached. Juana wanted us to have it, she said, not knowing how long she’d be around. That winter, one year ago this past December, Juana passed. The feeling of loss is still fresh, the deep sorrow for the too-soon ending of something that has just begun. Yet, a year later, it’s as if the momentum of reuniting with a critical part of my family has carried through Juana’s passing. I have come to view my tears and grief and sorrow as praise for her, for the gifts she gave me: acceptance, life, love and an ancient connection between her country and mine — our countries. My family — all of them — are watching this nation strain under President Donald Trump’s racialized divisiveness. But Trump is not America, not all of it. Meeting my family when I did, amid the recent re-emergence of overt hatred and racism, deepened in me a sense of solidarity with a family and community of people whose history and power are inextricably linked to the Americas. As Trump and his white nationalists dog-whistled an ethnic cleansing, I learned about the abrupt deportation of my biological father and its lasting effects. As Trump’s policies “separated” (or kidnapped) children from their parents, I was learning what it meant to be reunited with a lost family. As Trump appeared on television to mock the huddled masses, I learned the grace and love of my abuelita. Antonio and I have kept in touch. Every few months we get together for a meal or talk on the phone. I’ve joined him for family feasts of home-cooked tacos — made with loving hands — and they have helped give me the strength to weather Trumpism, at least so far. I struggle sometimes to grapple with my changing sense of self, especially in these times, but the compassion and strength of my families — old and new — have helped immensely. Like everyone in this country, I’m composed of complicated, ancestral, cultural strands, interwoven threads that clash in some contexts and harmonize in others. But that’s what makes America great. Not Trump, but me and my family.